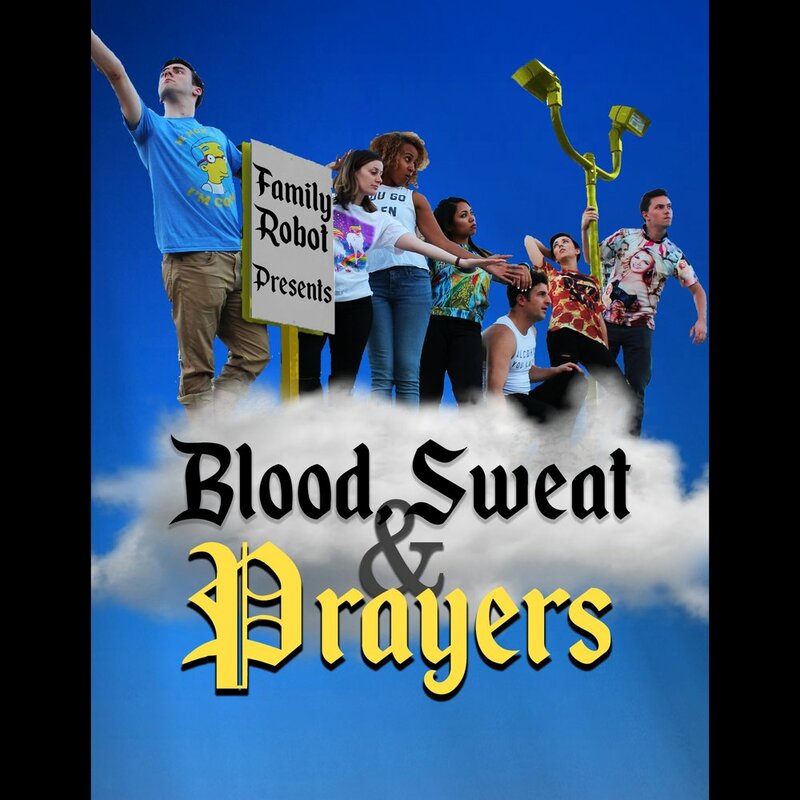 Family Robot's Blood, Sweat, and Prayers, employs a light and energetic tone to address social issues, politics, and personal experiences. Through character monologues, group scenes, dances, solo/duet/group musical numbers (with one of the cast members also music directing), the show delivers a pointed social message in order to invoke thoughtful conversations and reflections with our audience. Even your weird coworker who believes the earth is flat can get into this show!